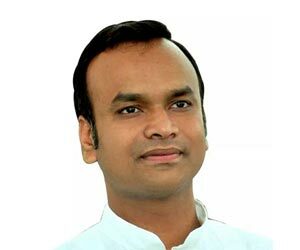 Priyank Kharge, son of veteran Congress leader Mallikarjun Kharge and the youngest face in Siddaramaiah's team, is the new minister for information technology and biotechnology. In a career spanning over 17 years, Priyank has held various appoints in the Karnataka Government. Some of his accolades include Politician, Member of the Karnataka Legislative Assembly: Chittapur, Member of Indian National Congress, Member: Sub-Legislation Committee, Govt of Karnataka, Member: Legislative House Committee - NICE, Govt of Karnataka to name a few. Some of the political initiatives Priyank has undertaken are conceptulising first of its kind Center of Excellence in Aerospace/Aviation for the Govt. of Karnataka, Conceptualising employable based training scheme "Yuva Yuga" for Dept. of Labour, Govt of Karnataka, contributed to the Ease of Doing Business in Karnataka report, proposed a separate Bengaluru Tourism Council and branding of the city to promote tourism in Bengaluru, initiated the e-ICDS on trail basis in anganwadis of Tumkur to name a few.